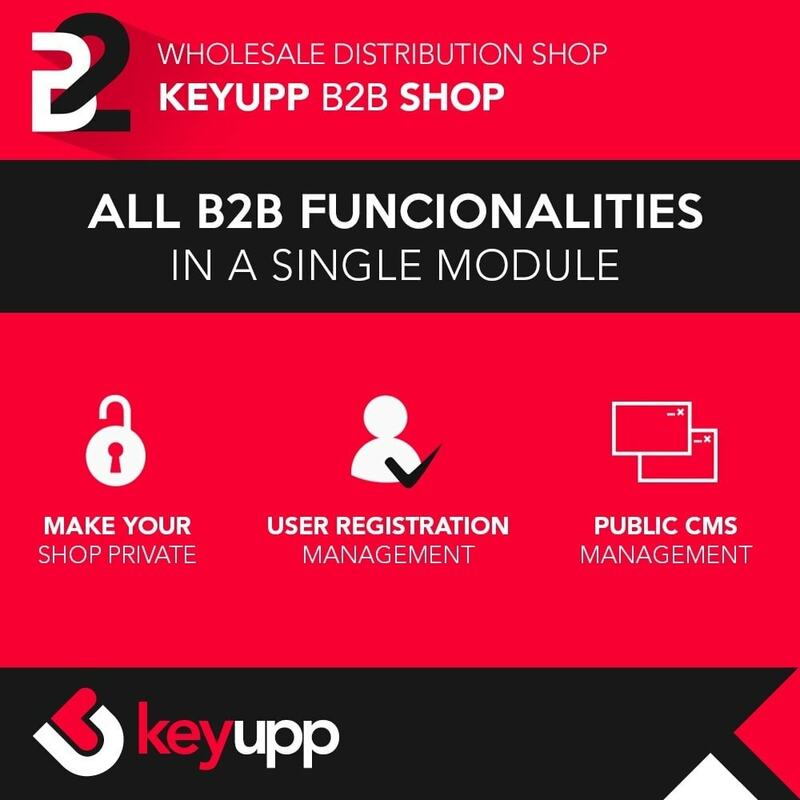 - Wholesaler shop: This functionality allows your wholesaler distribution channel to be accessible only for registered users. You can also allow public access to certain areas of the shop such as CMS pages, password recovery or contact form. 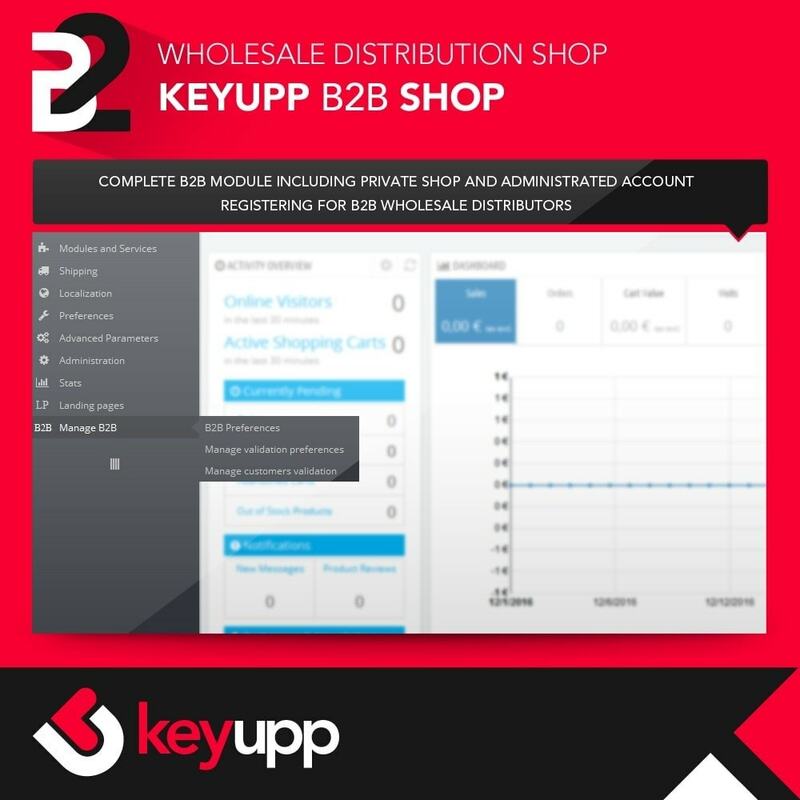 - Registration management: This functionality allows the shop administrator to validate all new user accounts before they are able to access the catalogue and place orders within the distributors channel. 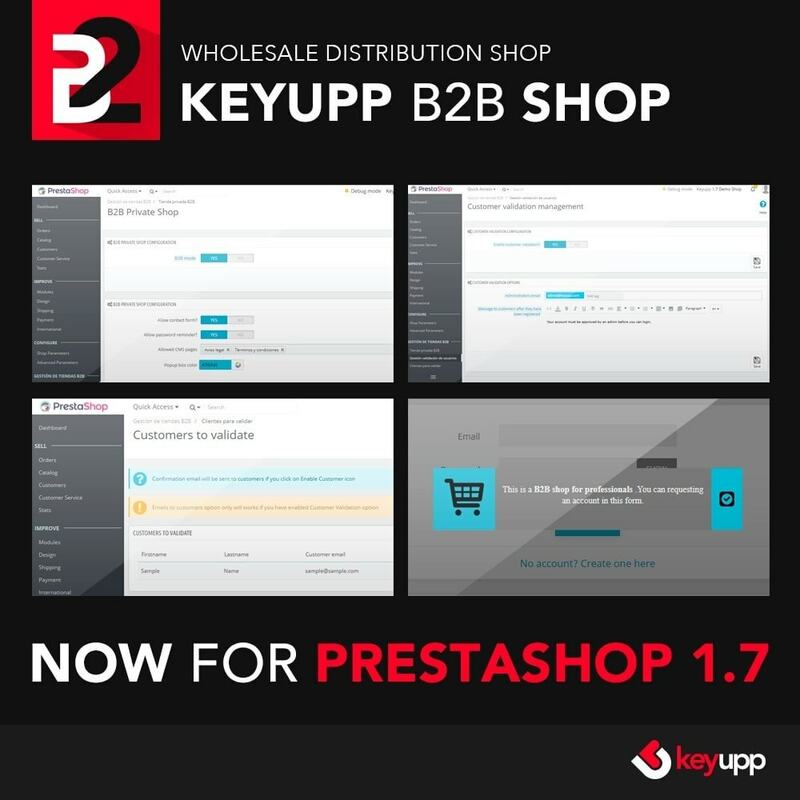 You can enable/disable the wholesaler shop. Once enabled only registered users will be able to browse the catalogue and place orders in the shop. 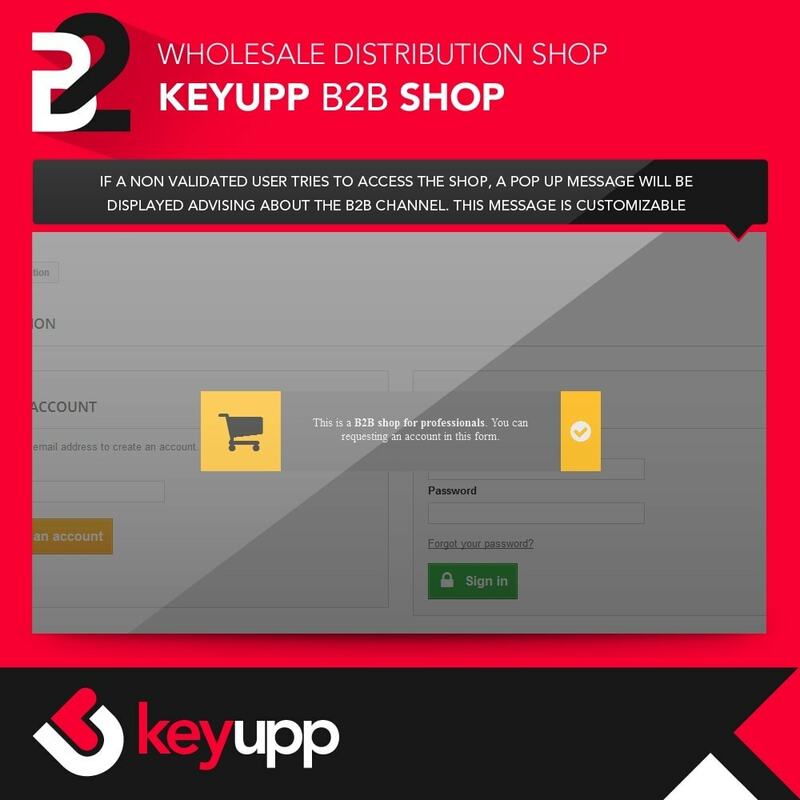 If the wholesaler shop is active, you can grants access to the contact form to all users. 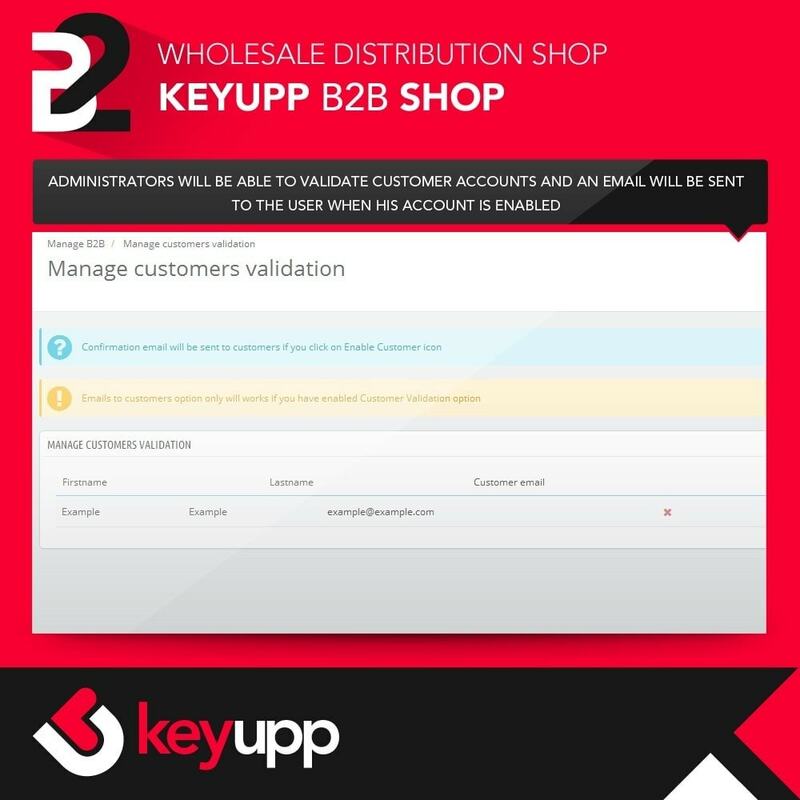 If the wholesaler shop is active, you can module grants access to the password recovery to all users. You will be able to choose which CMS pages can be accessible to all shop users. A new shop entry screen will be displayed informing the user that the catalogue and the rest of the shop are restricted to registered users only. Configurable design (text and colours) for the new entry screen. You can enable/disable validation for new user account requests. If you enable it, all new account requests will have to be validated by a shop administrator before users can have access to the catalogue and place orders in the shop. It allows you to set which administrator accounts will receive new user account requests alerts. You can set a personalised text to advise the user that the new account needs to be validated before it can be used. Email alerts to administrators for new user account requests. Email alerts to users to advise them that their request needs to be validated. Email alerts to users once their account has been validated and is ready to use. 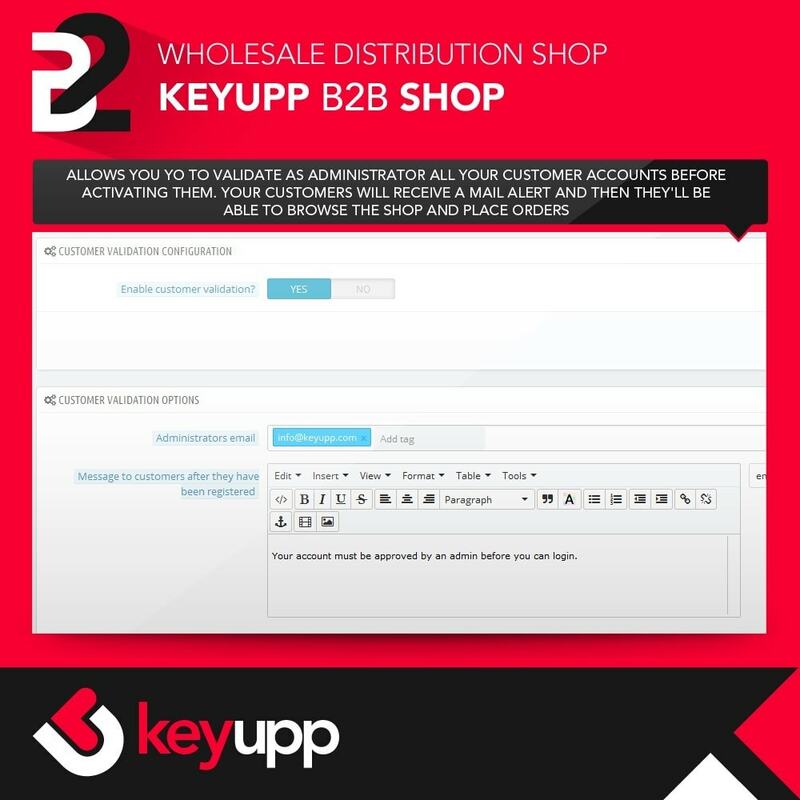 Your wholesaler clients will have a complete distribution channel at their disposal.